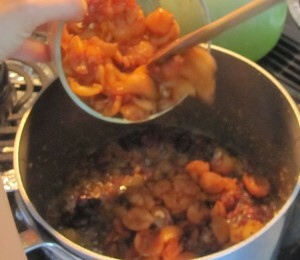 Wash, stone and cut up loquats into small pieces. Put all ingredients in a pot and boil gently until soft and a good color. Pour into hot jars and seal. You can substitute other fruits for the loquats. Try substituting this with half plums and half pears. When I made this recipe with family recently, I added a handful of dried mulberries, dried goji berries, dried red dates and slivered almonds. I also added other spices to increase the flavor (freshly grated orange peel, chili powder, saffron, and pepper). The result was delicious, with lots of health benefits. We also learned (after the fact) that it is best to peel and de-seed the loquats while wearing thin gloves due to the yellow stain of the fruit. There’s always a next time! Written by Lana at 12:29 am and filed under Miscellaneous. « Hidden names of MSG – be informed! hello there and thank you for your information. I have certainly picked up something new. 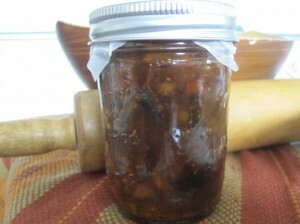 Thanks for finally writing about > Loquat Chutney | In Good Health Blog < Loved it! truly how to run a blog.